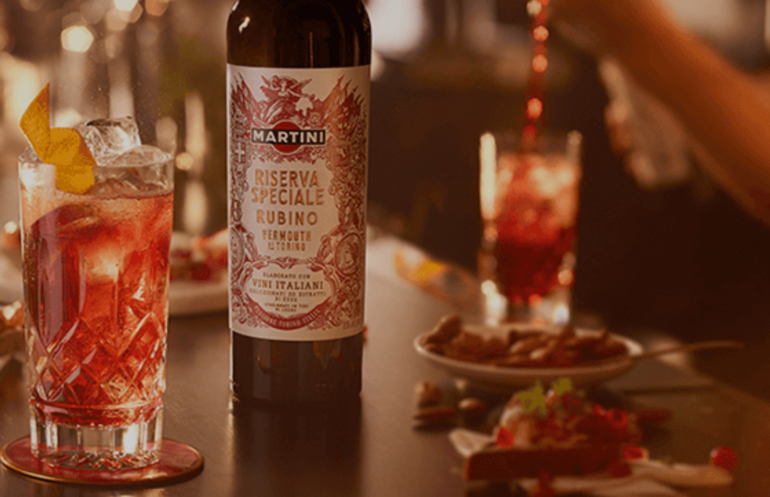 Martini has been creating Vermouth in the Piedmont region since 1863. The Martini Riserva Speciale Rubino is a wonderful combination of artemisias and the rich warmth of red sandalwood. The complex herbal vermouth is ideal for a Negroni but it can also be served chilled with just ice and some tonic water. If you want to serve the Martini Negroni, you should add bitter and London Dry Gin to this treasure. As far a food pairing goes, try it with cold meats such as Parma ham or other bits of tapas.